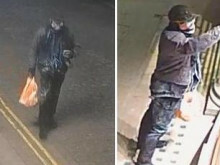 Detectives investigating reports of criminal damage to a number of statues in central London have released two CCTV clips of a man they wish to trace. The clips released show the suspect, who walks with a distinctive gait. 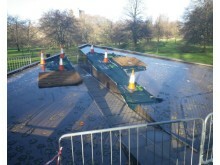 The clips are believed to have been from before and after the offences were committed. 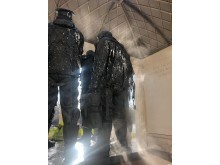 On the evening of Sunday, 20 January, police received a report of criminal damage to the Bomber Command memorial in Green Park near Piccadilly. 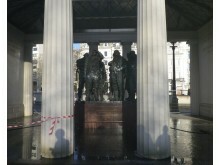 On Monday, 21 January, police also received subsequent reports of damage to the 'Allies Statue' of Winston Churchill and Franklin D Roosevelt in New Bond Street, the Canada Memorial in Green Park, The Royal Marine Memorial in The Mall and the Yvonne Fletcher memorial in St James's Square. 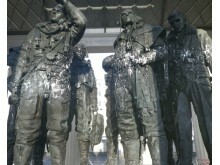 In all cases white paint had been splashed on the memorials. White paint was also found on a shop window on Old Bond Street. All the incidents continue to be treated as linked. Detectives from Central West CID are investigating and continue enquiries including forensic examination and the ongoing review of CCTV. 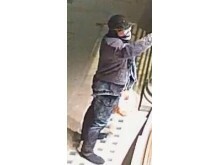 The clips released show the suspect, who walks with a distinctive gait. 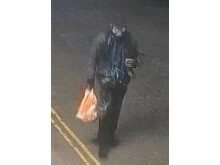 White paint also appears to have been splashed onto his trousers. 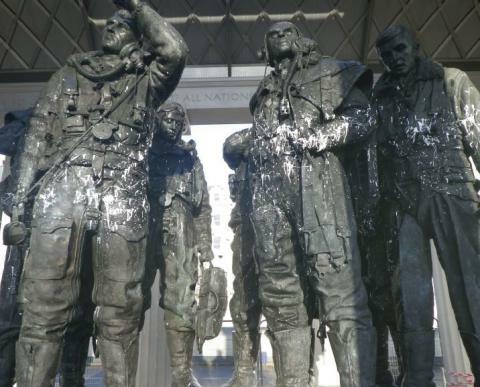 It is thought that the suspect started their acts of criminal damage at the Bomber Command memorial before heading along the Mall towards Trafalgar Square. They would have passed Canada House in the direction of St James's Square, before ending on Jermyn Street. Detective Inspector David Watkinson is leading investigation. 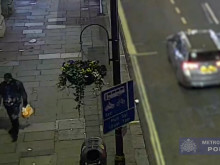 He said: “We have exhausted all operational lines of inquiry and have now released this footage as part of our sustained effort to identify the person responsible for this wanton vandalism. 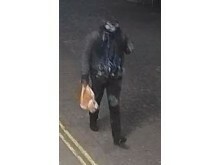 “The individual in the CCTV, who we believe to be male, has a distinct gait and we want to people to think carefully about whether they can identify him. “People have had a strong reaction to the damage caused to these important memorials which are part of our culture and heritage. “We are committed to doing everything we can to bring the perpetrator to justice. 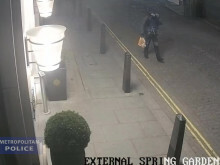 "The route we believe was taken by the suspect is usually very busy and they are likely to have been seen by a number of people. If you travelling on public transport and remember seeing someone with white paint on their clothes, please call us. It isn’t too late to share information. Anyone who has information is asked to call the incident room on 020 7321 8210 where they can speak to a detective from Central West CID. Alternatively, you can call 101 quoting CAD reference 6493/20Jan or Tweet @MetCC. Information can also be reported anonymously to Crimestoppers anonymously on 0800 555 111 or online at crimestoppers-uk.org. No arrests have been made and enquiries continue.